Ice Cream at Hill & Markes Inc. 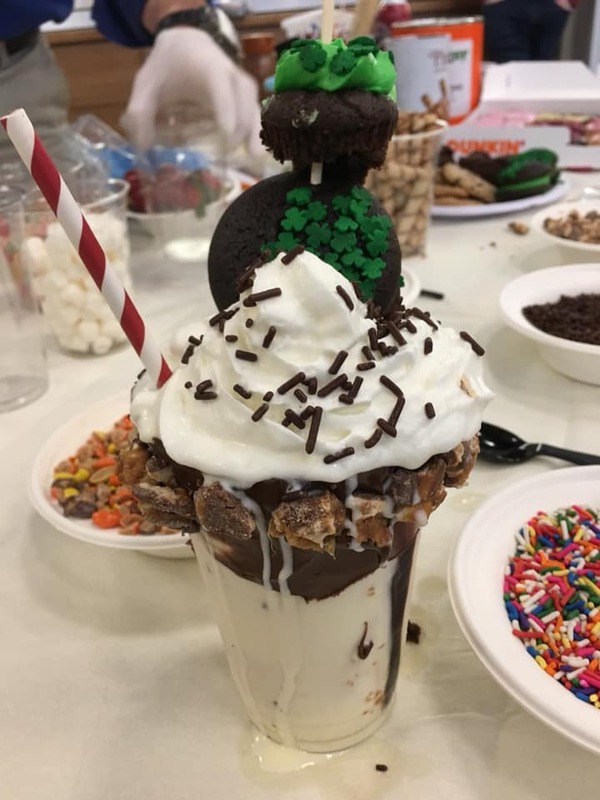 Here at Hill & Markes Inc. we take ice cream very seriously. As part of our rich and long tradition, ice cream is our business. Starting in 1906, when Hill & Markes Inc. was founded as a candy, ice cream, and ice cream cone distributor by Amos Hill and Charlie Markes, Amos and Charlie made deliveries throughout Upstate New York, even during the harsh winter months. Our delivery fleet has improved but our dedication to service has stood the test of time! We are here to make sure that you have all of your ice cream needs - and to make your busiest time of year as easy as possible. Place a one time order for regular delivery throughout the season, order as needed, or do a combination of both! Interested in learning what Hill & Markes can do for you? Let us call you - fill out the following form and an experienced Sales Representative will be in touch! 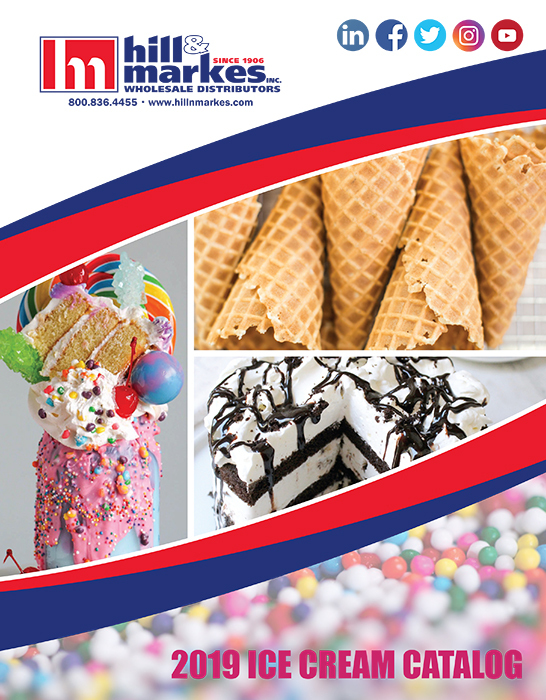 Download our ice cream catalog today! We have everything that goes inside, on-top-of, and around ice cream! 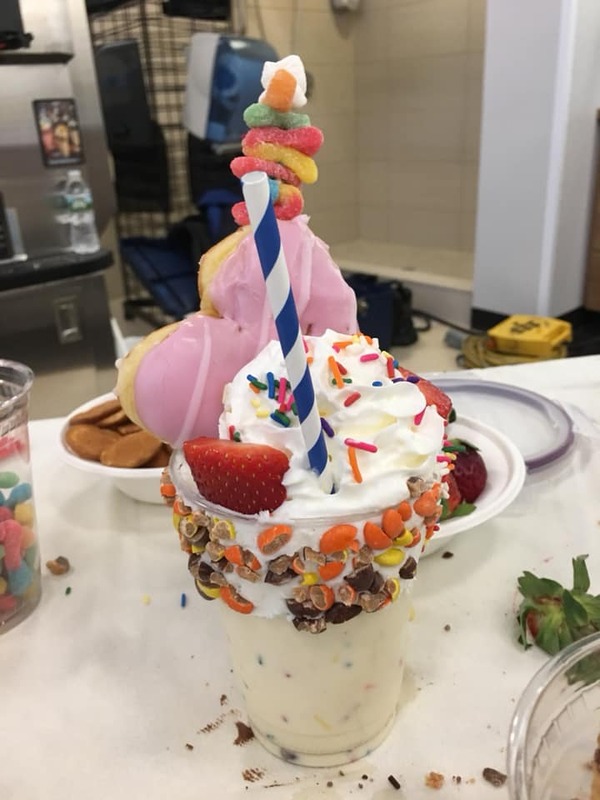 Freak Shakes are 2019's hottest ice cream trend! 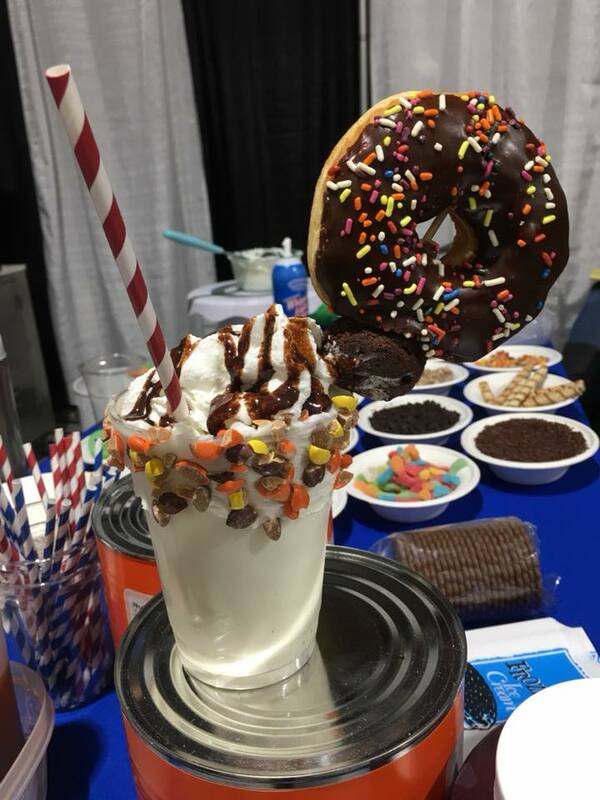 We have the supplies you need to make this over-the-top milkshake! See pictures above. 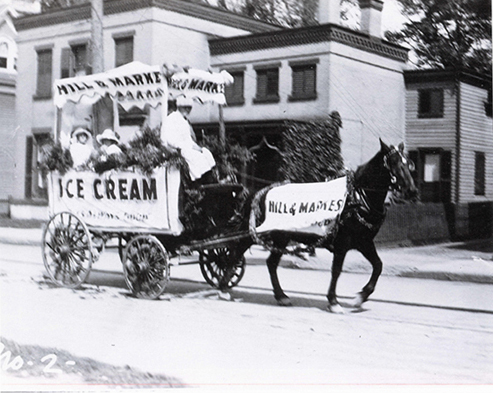 A Rich History: Hill & Markes delivered ice cream supplies in a horse & buggy!